She sat in the wheelchair with balloons tethered to its handles. There weren’t one hundred of them, of course; a hundred of them might have lifted the chair and its pencil-thin inhabitant from the ground. No, the other nuns believed in miracles and weren’t taking any chances with Sister Mary Agnes. Sister Mary Agnes heard the susurrus of rubber against rubber as the balloons jiggled on their strings. She couldn’t see any of this, of course. She hadn’t been able to see anything since she was four years old, when a stray ember from the fireplace set fire to the flannel blanket she’d been wrapped in. They said it was a miracle she survived and a blessing she was blind. At least she didn’t have to see her scar-covered body. Married to Christ, no one else would have to either. To say she hadn’t been able to see anything wasn’t really accurate. Over the years she’d had visions, portents of things to come, some good, some tragic. To her way of thinking, sight was overrated as senses went. She much preferred taste and touch, come to that. Mary Agnes heard the cork pop and the fizz as the glasses were filled. She felt plump fingers put a glass in her hand. She heard soft titters of laughter around her and smiled. People forgave a multitude of sins when you were as old as she was; she expected the same from the Lord when the time came. She had frightened enough people with her visions; she was glad she could bring them joy too. 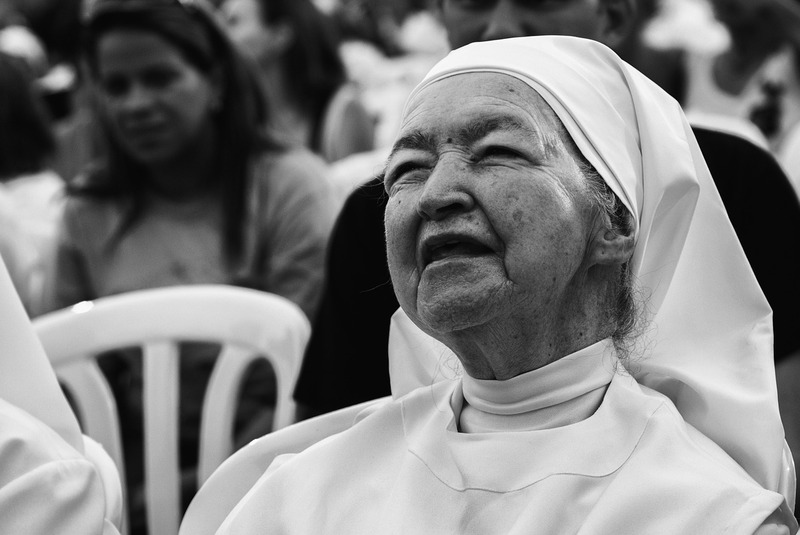 Thank heaven old age was good for something other than being wheeled into Mass and asking God when she could expect to see Him. She had a few questions she wanted to ask. Roses. Suddenly, the room filled with roses. Red roses in brilliant contrast to the black and white habits. Their cloying perfume filled her nose and lungs and she sneezed. “God bless you,” the sisters chorused. Mother Superior took the empty wine glass that threatened to fall from Mary Agnes’s grasp. “It’s all right, Sister.” She patted Mary Agnes’s hand, attempting to placate, but the old nun would have none of Mother’s condescension. She sneezed again, as if in punctuation. Then, as suddenly as they had appeared, the roses were gone. Mary Agnes stopped sneezing and cocked her head to listen. The room was quiet, empty. The sisters were gone too. Bright light surrounded her. If I could see, she thought, that would probably blind me. Out of the light she sensed hands reaching for hers, helping her rise from her chair. Then she was standing on her own, stronger than she’d been for many years. And suddenly, Mary Agnes knew where she was and what had happened. “Ask what you will,” came the voice, gentle and kind. Mary Agnes pulled a handkerchief from her sleeve, blew her nose loudly, and waited as her Lord’s laughter washed over her. I loved this short story Elise. You really should publish them. The photos are great too. Thanks so much, Rosemary! My publisher and I are looking into putting an anthology of some of my short fiction together, so we’ll see what happens with that. I can’t take credit for the photos though. Those were free use from the internet. LOL! I just love Sister Mary Agnes. Beautiful story, I love a happy ending. Can’t wait for your next book. Thanks so much, Lucille. We’re working on it.